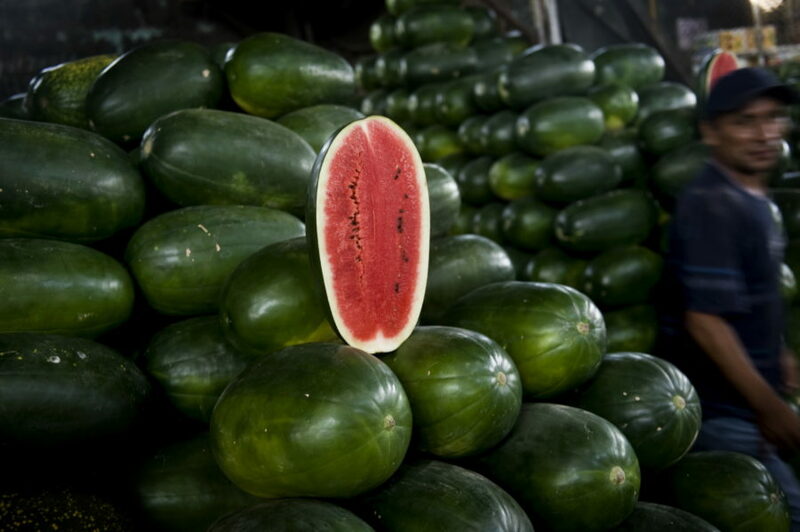 Watermelons for sale at the wholesale fruit market in Lima, Peru. Image by Ernesto Benavides/Agence France-Presse / Getty Images, © All Rights Reserved. We live in an enchanted universe. The goal of the spiritual path is not to always seek after the extraordinary. It is to stand before the ordinary, and see the extraordinary shining through it. It is then that we become extraordinary. It is to see God/the sacred/the All/the cosmos (whatever your term of choice for what and who transcends us) illuminating every last blade of grass, bringing every dust particle to dance in the light. I had an experience like this, eating a sweet summertime watermelon. As a child of warm climates, watermelons are a right of passage. You see trucks lined up on the side of many roads, selling sweet watermelons. My first memories of picking watermelons go back to my darling father: He taps them carefully, listening for the “thud” sound they make. He taps, taps, and listens very carefully. It is not a science but an esoteric art to pick out the sweet ones. And praise be to God, he always picks the sweet ones. I like seasonal fruit. I like the idea of anticipation (entezar) for something to reach its sweetness. A few days ago I stood in front of one of these watermelons, picked by the Jedi master father, picker-of-all-sweet-watermelons. I tapped it, listening for the sound that he can hear, but I cannot yet. I looked at the external shell, the rind. It was hard, with mysterious patterns. I put the knife in the middle of the rind, and pressed. A crack opened up on the rind, and with just one more push the crack spread like a lightning across the rind. I cut the watermelon open, and stood there in full amazement staring at it. Mystics usually tell us to have our own “tasted” experience, and not settle for knowledge in books, or even knowledge in our head. They say that experiences have to be “tasted” before they become truly ours. I agree, though in this case I almost didn’t have to taste the watermelon to know it would be sweet. The middle part of the watermelon was so sweet that it had cracks in the middle, already cut open from the inside. My father always cuts a piece straight from the middle of the watermelon, and lovingly offers it to my mother. She takes it, looking back into his eyes. There is love and sweetness in this moment. And that was the enchanted moment. That was the moment where the whole rest of the world went away, and I saw the watermelon as a watermelon, and as much more than a watermelon. We are like the watermelon. Each of us. Each of us has a hard external rind. We are all protected by a crusty rind. And sometimes, sometimes we get to be cut open. No one can get to our sweetness until we are cut open. The sweetness is not at the rind, nor is it even the first white layer immediately under the rind. The closer you get to the middle, the sweeter it gets. That is the enchanted realization. As above, so below. As in the past, so in the now. As in nature, so in our hearts. We are like the watermelons. Each of us has a crusty external rind. A case that both protects us and keeps others out. 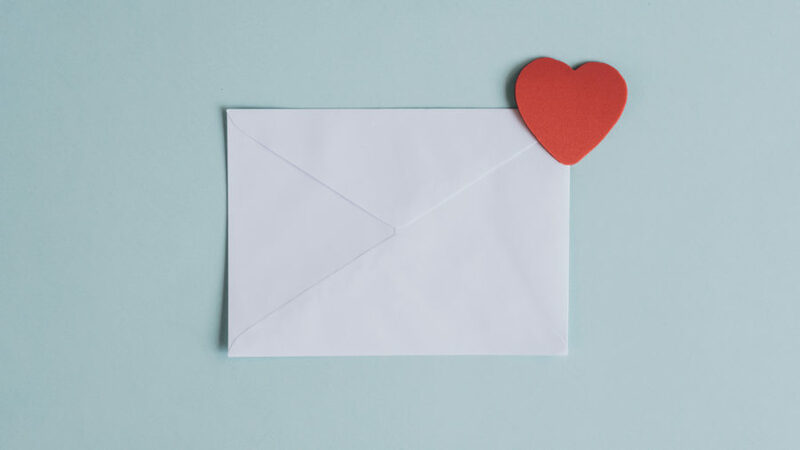 The closer you get to the middle, that is to say — the closer you get to the heart — the sweeter we get. But to taste the sweetness each of us has to offer, we do have to get past the crusty layer. There is a need to be cut open. (This is not a call for reckless abandon, nor a letting go of the protection and self-care that can be life-saving for many of us, particularly those in abusive contexts.) It is a realization that we need someone to cut through our crusty layers to get to the sweet heart. So here we sit, each of us. Some of us have been cut open before. Some of us have never truly been cut open. Each of us has a sweetness. Some sweeter, some less sweet. My darling one, sweet beloved friend, would you cast a loveglance my way? Would you cut through my crusty layer? Do not stop at the rind of my shell. Cut through to the heart, and open me up. My heart is in season. It is an enchanted world. Omid Safi leads spiritual tours every year to Turkey, Morocco, or other countries, to study the rich multiple religious traditions there. The trips are open to everyone, from every country. More information is available at Illuminated Tours. He is director of Duke University’s Islamic Studies Center. He specializes in the study of Islamic mysticism and contemporary Islam and frequently writes on liberationist traditions of Dr. King, Malcolm X, and is committed to traditions that link together love and justice. Omid is the past chair for the Study of Islam at the American Academy of Religion. He has written many books, including Progressive Muslims: On Justice, Gender, and Pluralism; Cambridge Companion to American Islam; Politics of Knowledge in Premodern Islam; and Memories of Muhammad. His forthcoming books include Radical Love: Teachings from the Islamic Mystical Traditions and a book on the famed mystic Rumi. 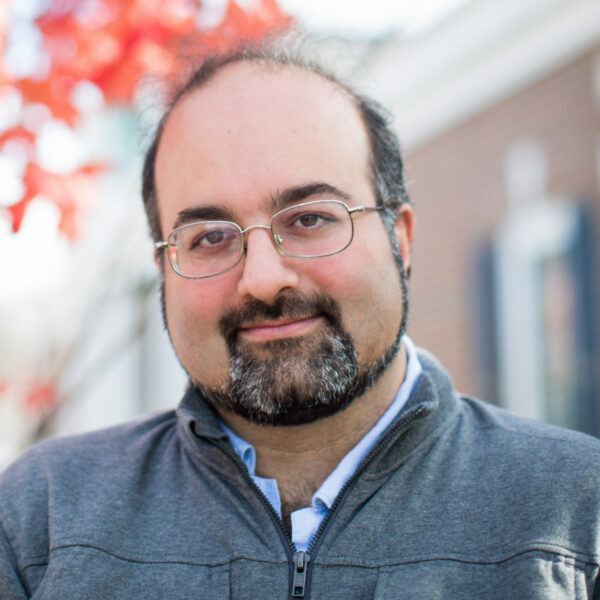 Omid is among the most frequently sought out speakers on Islam in popular media, appearing in The New York Times, Newsweek, Washington Post, PBS, NPR, NBC, CNN, and other international media. He can be reached regarding speaking engagements at omidsafi@gmail.com. Harry Potter and the Sacred Text’s Casper ter Kuile talks about this classic Meg Ryan/Tom Hanks movie, one he always watches with a pint of ice cream. It shaped the world he longed for as a 14-year-old, and later on, even the kind of man he would marry.